Denny's Trailer Sales is a family owned and operated business established in 1986, and located 3.5 miles north of Wykoff, Minnesota, by the village of Fillmore. We take pride in our customer service and satisfaction in this low pressure atmosphere. We have a large selection of trailers as well as a full service repair facility with over 20 years experience. 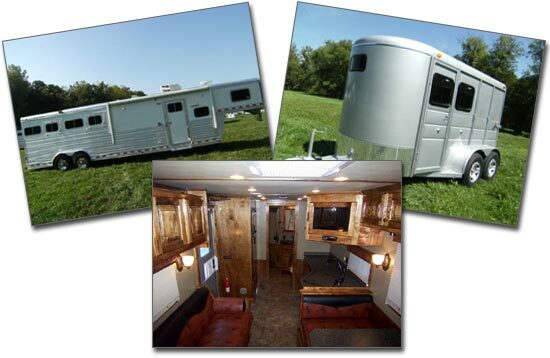 We have a large selection of horse and stock trailers, new and used. Denny's has several excellent finance companies with competitive rates and up to 180 month financing. "Take care of the customer after each sale." Forestville State Park with several miles of horse trails and camping is only 12 miles south of us. Please stop by anytime when visiting Forestville.